It may not be a dimension as vast as space nor as timeless as infinity, but the ocean’s “twilight zone” is affecting Earth’s climate, due to the heavy presence of phytoplankton in the region. NASA scientists are venturing into the ocean’s “twilight zone” to explore how phytoplankton are affecting Earth’s climate. Phytoplankton, which have been described by NASA as “nature’s watercolors,” remove carbon dioxide from the atmosphere via photosynthesis. Although scientists understand how the carbon is captured, they do not yet understand where it eventually goes, nor how long it stays there, especially when the phytoplankton die or become food for other creatures. 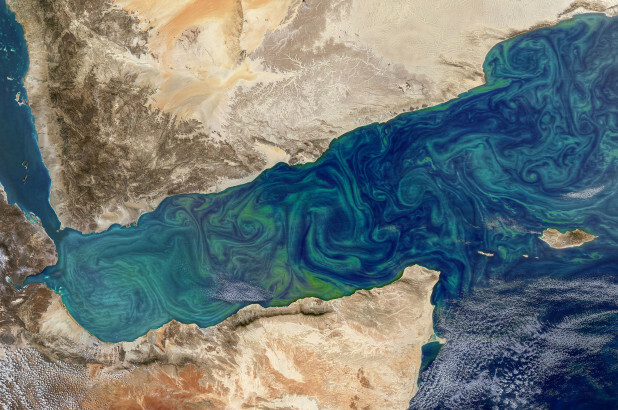 A team of over 100 scientists is working to understand where the carbon goes, in a project known as Export Processes in the Ocean from Remote Sensing (EXPORTS). The scientists will use underwater robots, satellite imagery and two research vessels, as they set sail on a month-long journey 200 miles west from Seattle into the northeastern Pacific Ocean. “The continued exploration of the ocean, its ecosystems and their controls on the carbon cycle as observed with advanced technologies by EXPORTS will provide unprecedented views of Earth’s unseen world,” said Paula Bontempi, EXPORTS program scientist in a statement. The EXPORTS project, which is being funded by NASA and the National Science Foundation, will take the researchers into the far depths of the oceans, the aforementioned “twilight zone,” an area 650 to 3,300 feet below the ocean’s surface. Here, there is little to no light and the plethora of life in this region that rely on phytoplankton as a source of food is abundant. Zooplankton is one such species. Scientists are trying to understand how this species, which moves to the surface and then back down to the twilight zone at sunset, affect the release, if at all, of carbon into the atmosphere, once they consume the phytoplankton; as well as how it affects carbon levels once the zooplankton themselves are eaten. It’s understood that a portion of the carbon re-enters the atmosphere as zooplankton breathe it out and when they die and decompose, but some of it also sinks into the twilight zone, which is baffling scientists.